Welcome to Get Some Systems, this is a small start-up company serving hobbyists and developers as well as technical customers. I'm an electrical engineer working in design and development for both hardware and software. I hope that some of the tutorial/education material along with my hardware solutions help those of you looking to become more familiar with the respective concepts and platforms. I'm also launching my first hardware product in Q1 2014. It is a high performance data recorder coming in regular and shock-hardened models. I will be looking for beta testers so if you are interested please contact me. Below are some quick product stats. Below are some highlights pertaining to a new data recorder I will be releasing early in 2014. As soon as I get the first X beta units out to customers I will move into shock hardening this model. 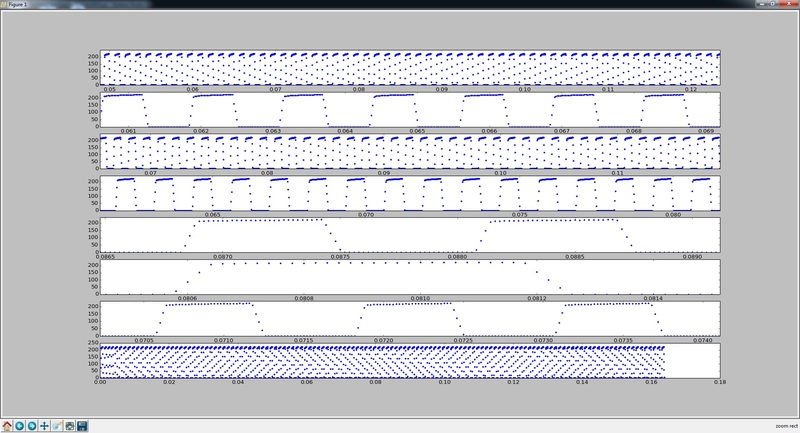 This is the same plot, but plotted continuously. 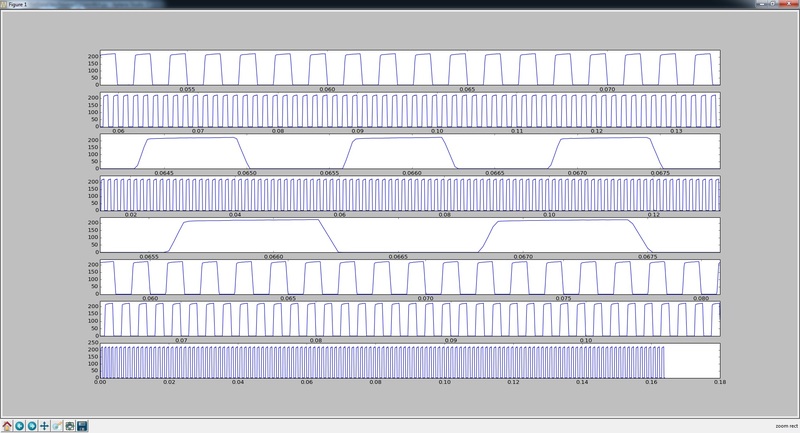 I had to re-zoom on the different subplots again, but all 8 channels recorded the same 1 khz square wave. 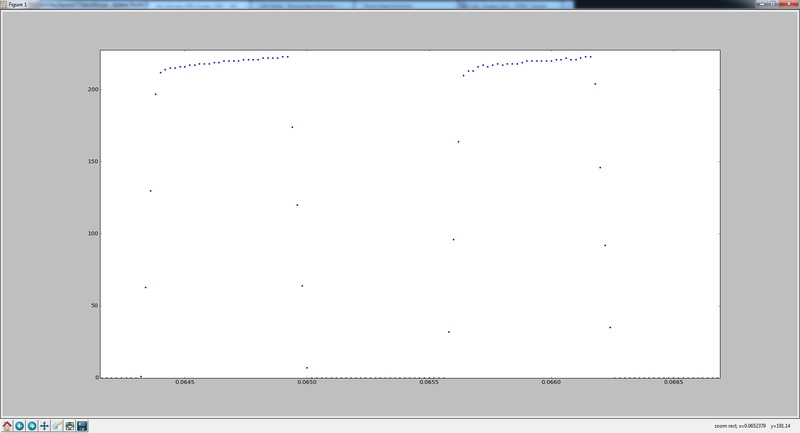 One more shot showing a period of the wave form and how many samples I am getting per period.